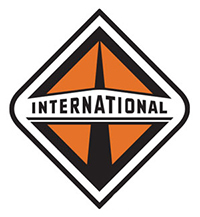 Formed in 1902, the International Truck and Engine Corporation has grown into a leading producer of medium-duty trucks, heavy-duty trucks, and severe-service trucks. Their products are sold throughout North and South America through a network of nearly 1,000 dealer outlets in the United States, Canada, Brazil, and Mexico. International's diesel trucks are designed to maximize uptime so you are able to maximize productivity and profits. They design, build, and test with one focus in mind: to produce machines that perform day-in and day-out, and allow you to spend less time in the shop and more time on the job. International understands that the most important part of your truck is its powerful diesel engine that makes it run. No matter if you're driving on city streets, open roads, to work sites or on delivery routes, the demands of your day to day operation require the best diesel engines available to ensure vehicles and fleets always operate at the highest level. 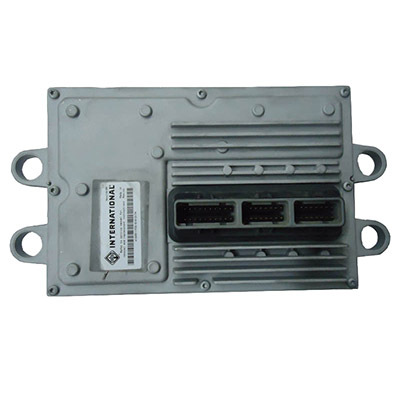 And the key component of your truck's diesel engine is its central computer - or brain - otherwise known as its engine control module (ECM) or electronic control module. The ECM is what makes your truck smart and it controls and regulates everything from fuel injection to ABS braking systems to environmental impact to your truck's transmission. 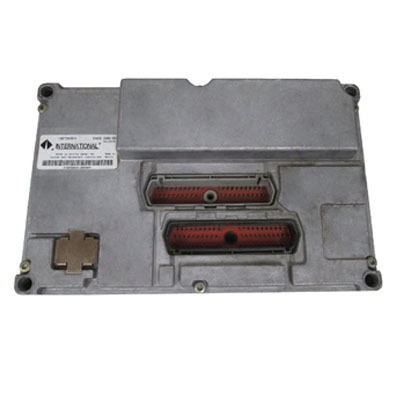 The ECM touches every aspect of your truck's functionality. This means that there are few parts more important than it and you need to make sure that you have the right computer for your particular truck. At Diesel ECM Exchange, we test, program, and flash the latest OEM software and updates from the manufacturer on every computer we sell, and customize it with your truck's exact mileage and VIN. This means that your ECM is calibrated to work precisely with your truck, allowing it to consistently perform at the highest level and be a machine that you can depend on always. International builds great trucks and the highest quality engines. Ensure that you are getting the most out of your machine with the proper ECM.